We have support from universities, inspectorates, education authorities, schools, teachers, pupils and parents, for what we are trying to achieve with Izak9. According to TIMSS 2015 43% of children say they are not confident in mathematics. 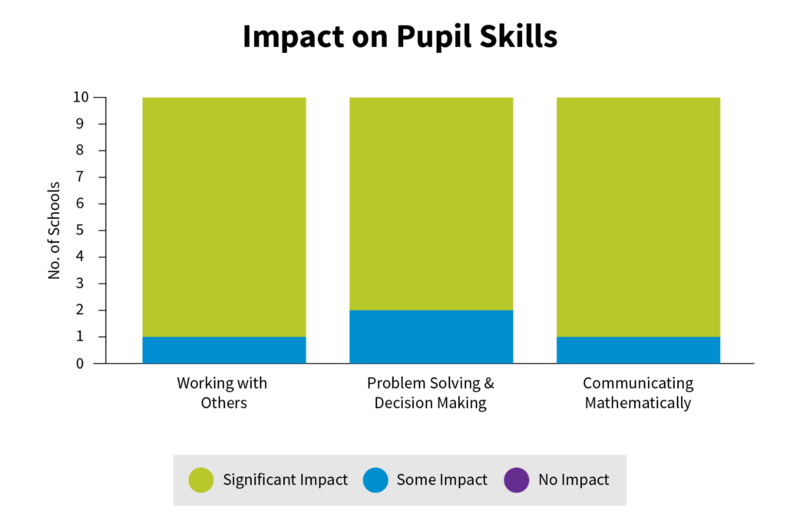 Disadvantaged children are only half as likely to go to university as advantaged children. Percentage of children in the US that changed to other subjects having originally planned to major in STEM. Percentage of young adults in the UK with maths skills less than those expected of a 10 year old. Does Izak9 raise pupils’ attitudes to mathematics? 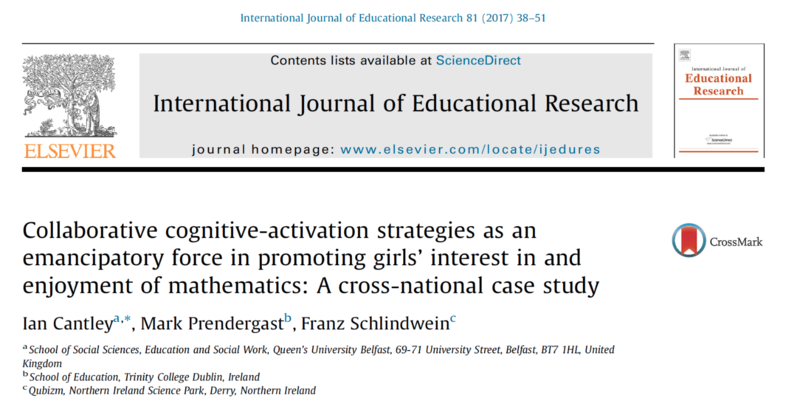 If we take the sample of pupils surveyed across the Island of Ireland after having had exposure to using Izak9 for only six lessons, one day per week for 6 weeks, the results show that there is an increase in pupils’ attitudes to mathematics, and to a statistically significant degree, the attitudes of girls. The context of the report showcases how 39% of boys as opposed to only 14% of girls, choose a STEM based subject at 3rd level Education (OECD 2015). The reason being that whilst girls can outperform boys in these subjects, they don’t choose them, because they don’t enjoy them. Izak9’s use can have significant impact in this regard, when it comes to mathematics. The study, funded by SCOTENS (Standing Council of Teacher Education North and South) involved student teachers from Queen’s University Belfast and Trinity College, Dublin. Does Izak9’s use help prepare pupils for the leap from Primary to Secondary level Education? A small-scale pilot of 10 schools (5 Primary and 5 partner Post Primary schools, 2 from each Education Authority region) was established in September 2015, as part of the regional Literacy and Numeracy KS2 and KS3 CPD Project, to explore the use of Izak9 as a resource to improve pupil engagement and skills in numeracy across both phases. The most significant outcome from the pilot has been the impact on pupil’s skills in working with others, problem-solving and decision making, communicating mathematically and thinking flexibly. Their enjoyment and engagement have both been much higher when using Izak9, as has their confidence and willingness to take risks and try out different methods of approach. Examples of benefits to pupils. Enthusiasm clear in all visits to classrooms, and teachers all report pupils show much greater levels of engagement and enjoyment when using Izak9. 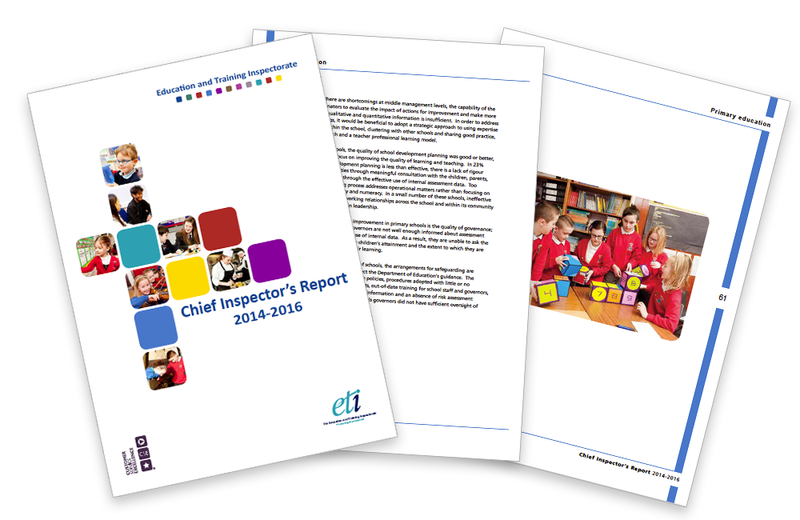 97% of responses said there was some or significant impact on pupils’ skills (66% significant) with working with others. More grit, perseverance and willingness to try different approaches. Every observed class was using mental maths strategies, and even creating their own tasks involving mental maths. To encourage dialogue/collaboration within the class and with primary partner school. Pupil dialogue is very significantly enhanced when using Izak9. All visits demonstrated teachers’ enjoyment of using the resource, and their enthusiasm led to trying new approaches and creating new tasks. The use of the Izak9 resource has provided a new stimulus for teachers of maths and numeracy in both primary and post primary, which has proved engaging and motivating for their students. It has provided opportunities for pupils to talk about their strategies in tackling the tasks and to see that there can be a range of different approaches or even solutions to the same problem. It has supported teachers in developing a ‘can do’ attitude, with pupils less afraid to have a go and attempt a task, when perhaps in a written format they would have taken fewer risks for learning. It has also increased their ‘stickability’ when confronted with a tougher challenge. 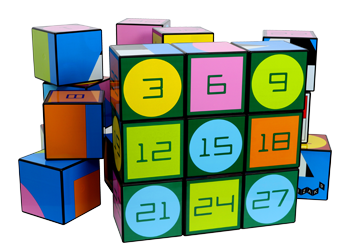 The kinaesthetic nature of the cubes appears to be one big advantage of this resource, with pupils very keen to use them. The partnership aspect of the pilot worked well when teachers from both phases were brought together in a ‘formal’ setting, with many great discussions and good relationships formed. The sharing best practice day was very valuable in helping everyone to see other ways of using Izak9 in developing their pupils’ skills. The resource ended up being used from Primary 1 right up to GCSE level in Year 11. This demonstrated the flexibility of Izak9 and the creativity of teachers in taking it and making its use relevant in a wide range of contexts. Does the inspectorate have a positive attitude to the effective use of Izak9 in schools? The Chief inspector for NI schools included a photograph of Izak9 being used by pupils in her biennial report to schools. This was not a casual inclusion. The Inspectorate sent a camera team to the school and took a selection of photographs, many of which were shared during the presentation of the findings that informed the report, with the inclusion of one photograph in the report itself. The Chief Inspector had also asked for an Izak9 session to be delivered as part of the Inspectorate’s staff development training programme. We were only too delighted to oblige and provided a fully interactive, hands on Izak9 session for all NI schools inspectors. The reason for this request was that inspectors were seeing Izak9 in use in so many schools across the country, to such positive effect, that they wished to understand fully the potential of the device and its associated pedagogy. Do teachers believe that Izak9 can raise standards in the teaching and learning of maths? We were asked by the West Belfast Area Learning Community to survey the thoughts of the Secondary schools in their area that were using Izak9. Although the sample is relatively small, the findings are interesting. We thought that schools would be focusing Izak9’s use on years 8 and 9 (first and second year), but it transpires that Izak9’s use is evenly distributed across 5 years of secondary school. Obviously, children love the resource, as we already know, so pupil response rates are high, but the 2 questions that gave the most interesting responses are the 2 shown below. These are significant statements for Secondary School Heads of Mathematics and Numeracy Coordinators to be making, especially as they would say that their relationship with mathematics would be well above average in the first instance. We have a wealth of testimonials and anecdotal evidence from teachers, pupils and parents, principals that we can share with you upon request, but the best way for you to find out is to see Izak9 in use for yourself. If you would like to avail of this opportunity, please contact us. We are most interested in requests from Schools, Teaching Universities, Maths/STEM organisations/associations, Education Boards/Authorities. We have a significant offering here, not only with Izak9 but also with its associated pedagogy and the availability of Teacher Training Courses.